ink cartridges online - V4ink: Where and how to buy cheap printer ink? Where and how to buy cheap printer ink? How do you know which aftermarket cartridges are reputable? Only a few name-brand brick and mortar companies, such as Staples, offer generic-equivalent inks in their name. None of the compatible brands sold by popular digital retailers like Amazon are directly tied to the Amazon brand, and therefore may fluctuate in quality. Knowing which brands are reliable and still affordable, as well as what your options are for third-party products, is key to getting the most out of your printer. Not all generic ink is equal, and some brands are admittedly downright awful. However, good brands that take pride in their product offer an incredible deal to customers looking to save precious dollars and cents. First, an important question: if generic printer toner cartridges are so much more affordable, why doesn’t everyone buy them? In years past, third-party ink and toner weren’t up to par with OEM print quality. But thanks to industry advancements, improved technologies, and stringent post production testing, remanufactured cartridge suppliers like Clover Imaging Group have now all but completely bridged the performance gap between aftermarket printer cartridges and original brand products. While there are established aftermarket retailers that have well-founded partnerships with reputable suppliers locally and overseas who are passionate about providing only top tier quality products, there are also those retailers who source their cartridges without thoroughly vetting their quality standards and production methods. These companies with lax quality checks give third-party consumables a bad name. Choose an established name. The first way to ensure you’re getting a good deal on your cartridges is to choose an established company. That company doesn’t need to be a brand name, however. 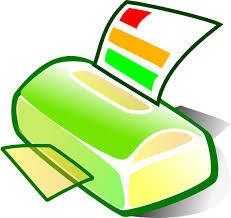 Several generic printer cartridge companies have made a name in the industry for selling top quality products for less. From search page position to the number and age of their reviews, you can establish fairly quickly who has been around the block.. Go with an established company who’s been around long enough to have tested plenty of ink suppliers and knows which ones are worth it. Vendors that have been in business for over 10 or 15 years will most probably have better product quality standards compared to a supplier that has been around for only 5 years. Brand of V4INK is worth for purchase. Satisfaction (should be) guaranteed. If your retailer unequivocally backs their product, that’s another sign that you can be confident in your purchase (after all, they are!) Companies that give you strict stipulations about returning defective products are likely ones to be avoided. Especially steer clear of these companies if you anticipate buying cartridges in bulk orders, where you may not realize a cartridge is defective until weeks or months after the original purchase. Customer reviews. Online reviews remain one of the best ways to get to the bottom of whether a product fits the bill. Sure, a lot of people use the comments section to blow off steam, but over time other customers who are satisfied enough with their product to take time out of their day to respond will win out. Read through the comments on your product, and perhaps even dig through several products sold on the company website, to glean how much thought they put into quality standards. Saving money on consumables is one way to shrink your bottom line, no matter whether you’re a student printing out a couple of pages per week or a small business trying to cut down on your overhead. Compatible third-party and remanufactured cartridges are an excellent way to knock down costs, all without sacrificing the quality printing you’ve come to expect. Do you know How to Replace Ink Cartridges?